How to play iTunes DRM protected music (.m4p) with Sony PSP? Sony PlayStation Portable (PSP) is a great handheld gaming console. You know it as the ultimate handheld gaming system - the place to play the very best in portable games.You may even know that the PSP(PlayStation Portable) system can do a bunch of other things as well. Besides the power of playing games, it is also a portable media player. It supports most audio and video formats. It plays MP3s, WAVs, WMAs, ATRAC3+ and MP4s. However, it could NOT play music files purchased from online music stores like iTunes. If you have purchased some music files from iTunes store, and want to play on your Sony PSP,this guide may help. Since the music files you purchased from iTunes stores are protected by DRM, you could NOT play them on your PSP directly. And you could NOT also convert the DRM protected music files to MP3 or WMA directly with iTunes media player. 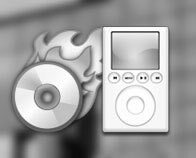 However, iTunes allow you to burn the protected music files to CD-R or CD-RW disc to make a standard audio cd. TuneClone installs a virtual CD burner on your PC, and let you convert the protected music to unprotected MP3 files automatically. Then you can transfer the unprotected MP3 files to PSP. 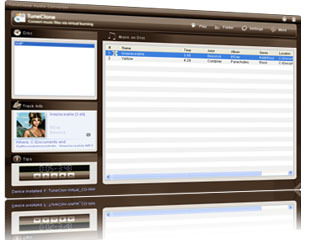 TuneClone removes DRM restriction by using virtual cd burning approach. Watch movies and videos: If it's saved to your Memory Stick Duo?, you can play it on your PSP anywhere. Save a good movie or homemade video for a long ride or trip. Or while away the hours with one of the many UMD? movies you can get for the PSP? system. Show photos: Show off with a cool slide show of all your favorite digital pics or beam your photos via Wi-Fi to another PSP? Listen to music: Play your MP3s, WAVs, WMA and ATRAC3+ files, and MP4s on your PSP?. It's your handheld, personal background music to go. Get online: Check your email on the go and keep up with the blogs, RSS, news feeds and podcasts you can't live without.